Is it a cop-out to throw all of Bullet Club's part-time members under a single heading? Perhaps, but none of these performers accomplished enough to justify their own individual entry. Haku is the most relevant to the group's current state. 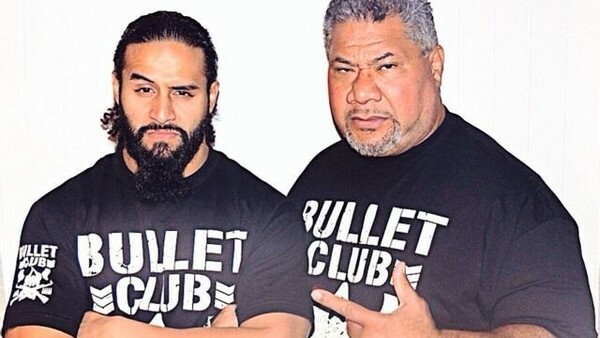 The father of three-time IWGP Heavyweight Tag Team Champions Guerrillas Of Destiny (adoptive, in Tanga Loa's case) managed his sons at July's G1 Special In USA, and wrestled thrice under the Bullet Club imprint in 2016, with his most recent match taking place in November. Jeff and Karen Jarrett squeezed their way into the Club's ranks at Wrestle Kingdom 9, where 'Double J' worked a six-man tag. 'Bullet Babe' Amber Gallows once occupied a semiregular managerial role, but left when her husband departed for WWE. La Commandante, Mephisto, Rey Bucanero, and El Terrible all appeared in the stable's CMLL subgroup, Bullet Club Latinoamerica, but the offshoot was abandoned years ago.